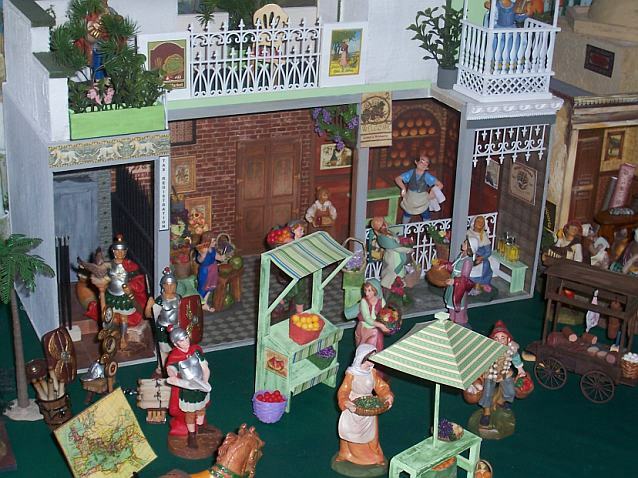 This exhibit had 28 creches; 19 belonged to Bill! 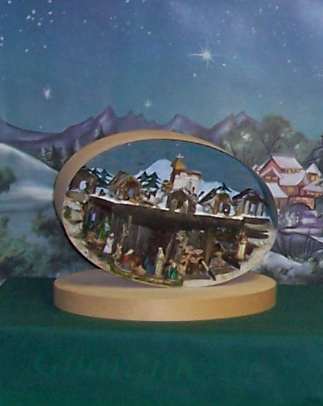 Mueller kids will recognize the Salzburg 1958 creche that we set up every year at home. 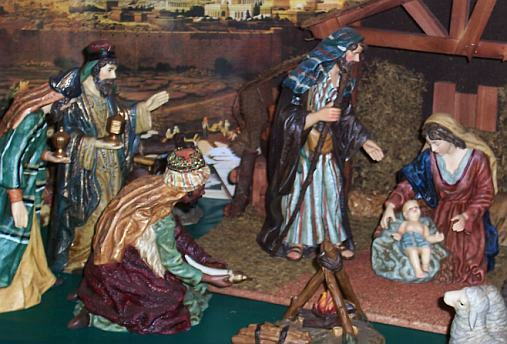 Bill has written up the real story of Silent Night. Note: there is only one size of each of these pictures. Clicking on the picture will not bring up a larger version. Grace Lutheran Church looked wonderful. 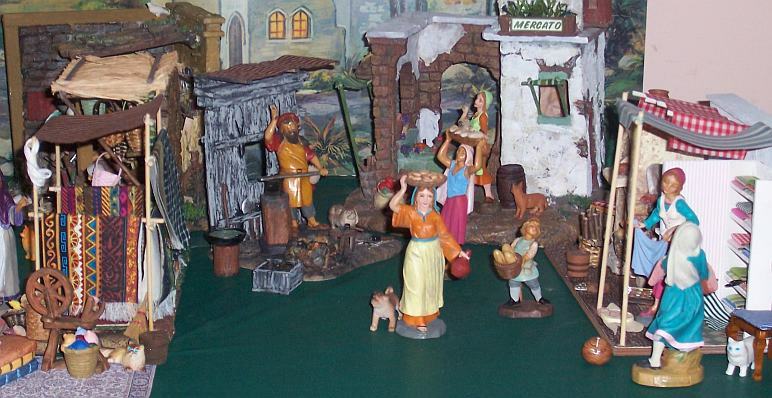 The classroom that was converted to an exhibit room could not hold all the Nativities so additional tables were set up in the church hall and other displays were in the formal living room off the entrance hall. 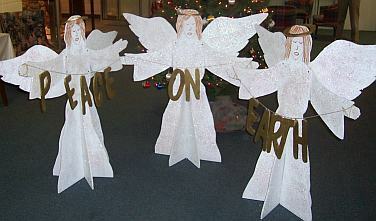 Visitors were greeted by three angels wishing "Peace on Earth." 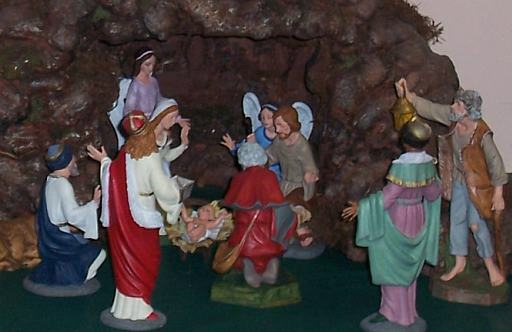 They were standing in front of the Christmas tree in the entrance hall. People were assembled outside the exhibit area before we opened at 2:30. Among the first visitors, it was a nice surprise to see Fr. Tom, the retired pastor of Prince of Peace. 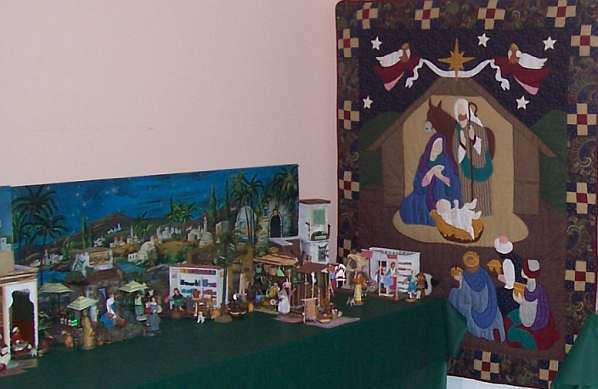 After people looked at the creches, they moved into the sanctuary where the Pastor explained the symbolism of the works of art that are displayed in the church. 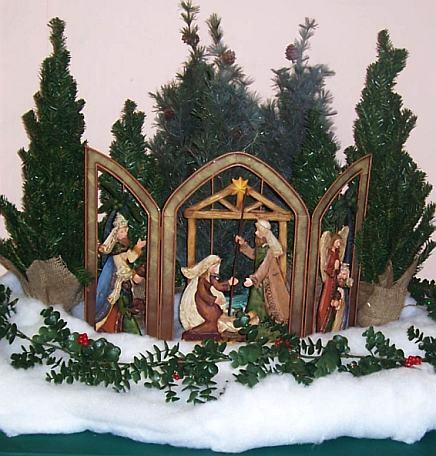 The Chrismon trees on each side of the altar are magnificent. 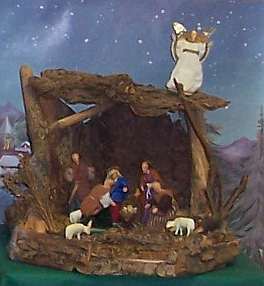 The Chrismon ornaments, all in white and gold and cut from Styrofoam, were made by members of the congregation. 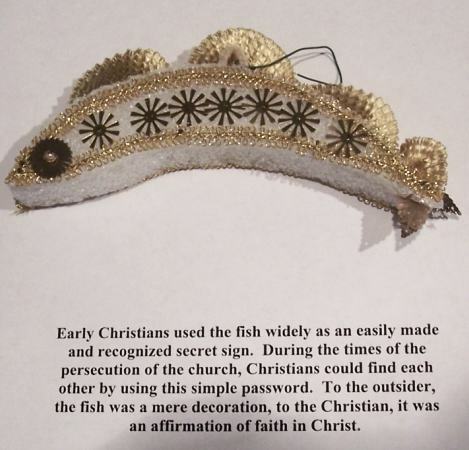 There was also an exhibit explaining various Chrismon designs. 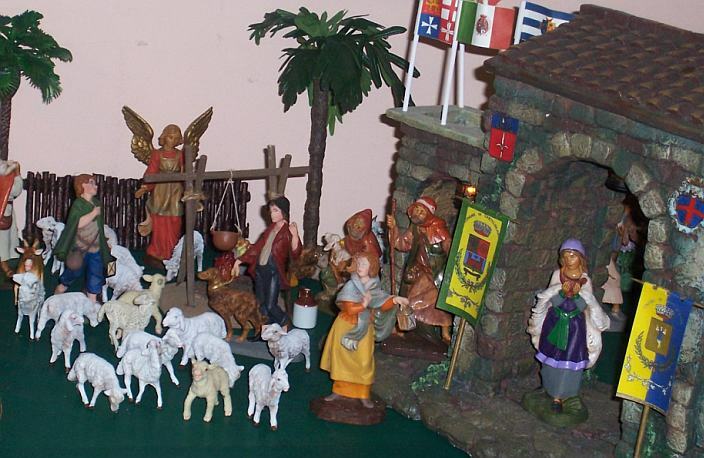 Several people expressed a wish that St. Brendan's parish have a "Come to the Stable" exhibit on the third Sunday of Advent in 2006 so that people can follow a "Road to Bethlehem" to see Nativities in both churches. 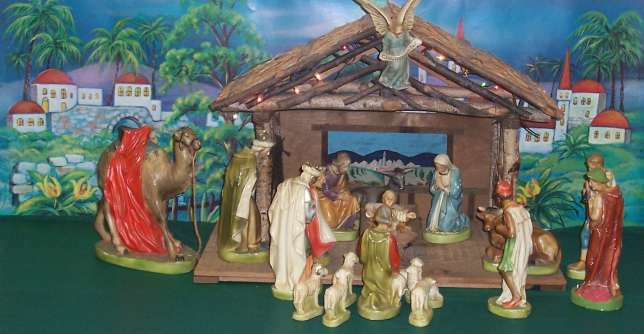 We hope that there will be a second annual "Come to the Stable" at Grace Lutheran. 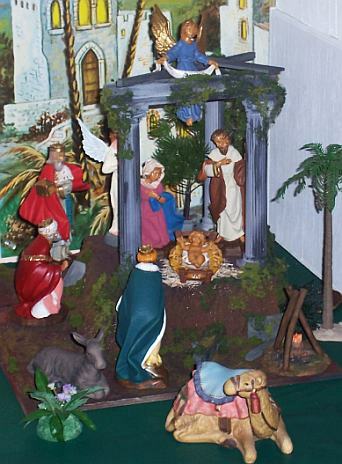 Everyone who exhibited Nativities yesterday has more of them at home, therefore they could display some at Grace Lutheran and some at St. Brendan's on Dec. 17, 2006. Patrick and I co-chaired this event, but we hope that next year there will be someone from Grace Lutheran in charge. We can help next year just as we did this year but with someone from the Grace Lutheran family overseeing the event, it offers a better opportunity for more people to get involved with their church activities. 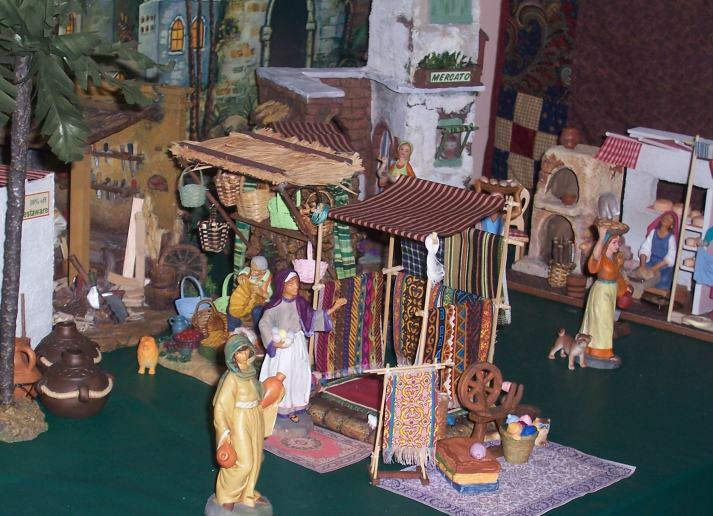 Thanks to Adventsingen choir members Amy, Sr. Anne, and Charlotte & Charlie for meeting with visitors in the exhibit room to explain the Nativities. 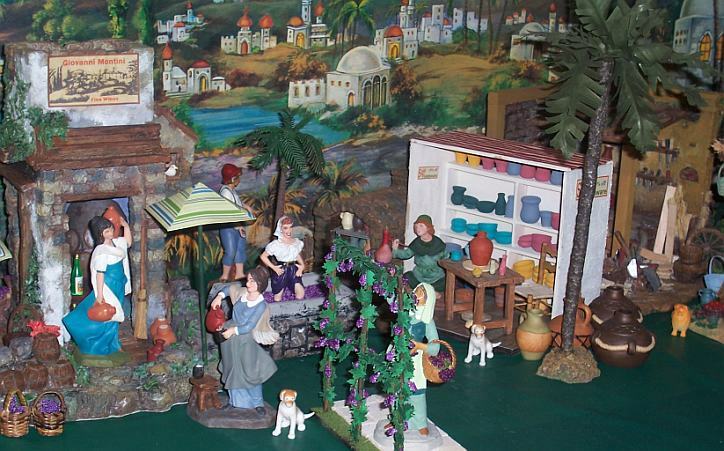 When visitors left the exhibit, they knew that even the smallest home has room for a Nativity. 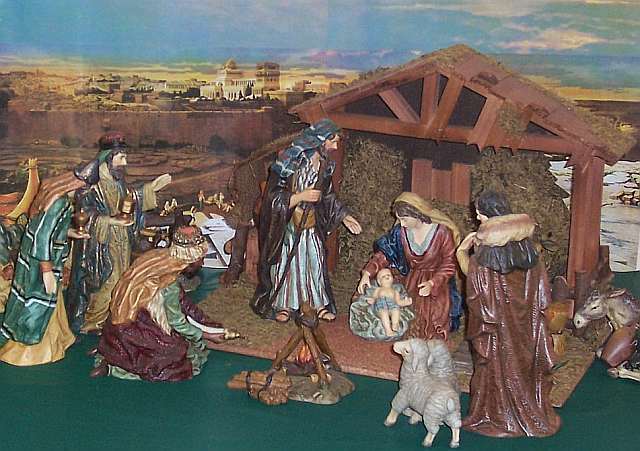 They saw beautifully printed fabric Nativity panels from Wal-Mart's fabric department and they also found they can download European-style paper creches from the Internet to cut out for display. Cave made from aerosol foam insulation.